Last week, after the jobless summit at the White House, I held back on judging it a mere photo op: “We need to watch closely to see if anything comes of this over the next couple of months.” To give credit where credit is due, it only took about a week. Genuine concern about persistent unemployment and, let’s not kid ourselves, falling poll numbers, have resulted in a common sense blueprint to shift money from banks and Wall Street to the regular folks who actually power the economy. Wish it had been done sooner. 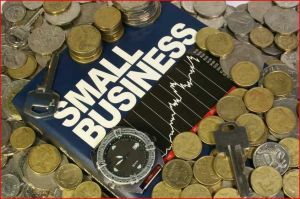 President Obama’s speech at the Brookings Institution Tuesday might have been a little defensive, but it also featured the prospect of some welcome relief and incentives for the nation’s small businesses that, after all, provide about two-thirds of the nation’s employment. He proposes a tax cut for businesses that hire next year, would eliminate the capital gains tax on profits from small-business investments for a year and would get rid of fees on small-business loans along with federal guarantees of those loans through the end of 2010. Yes, yes and yes. This is precisely the kind of action that needs to be taken by the government to assist the private sector in creating real jobs. Some of this will be paid for with $200 billion in bank bail-out funds the Treasury Department says are being paid back faster than expected. I like the irony. Greedy banks who continue their tight-fisted lending practices end up providing the cash they won’t loan out to small businesses. The loyal opposition is, uh, loyally opposed. Republican lawmakers say it’s a violation of the agreement under which the Treasury Department was given the authority to run the bank bail-out fund. But the White House doesn’t need Congressional approval of this and has unilaterally extended the TARP program through October of next year to pay for the small business initiatives. In the end, I don’t see how folks who consistently argue on behalf of small business can oppose these measures with a clear conscience. Come next November, I have a feeling they won’t be bragging to their small business constituents that they opposed tax cuts for them. At the moment, they’re arguing unused or returned TARP money has to be put specifically toward deficit reduction. May I point out that with the size of the red ink on the books right now, this is but a drop in a great big ocean. What we need now is jobs and I do believe people who get them- also pay taxes. In his Brookings speech, the president reminded everyone once again that he inherited an economic basket case caused by Republican tax cut and spending policies that created the large deficits in the first place. Yes, true. But you are the President now, Mr. Obama. You wanted this job; you’ve got it- your falling poll numbers (down to 47% approval according to Gallup) indicate people expect you to fix whatever it was you inherited. Nice job coming up with some good ideas to create more hiring- no need to be whiney about it. Revisiting the Tiger Woods Mess Shaun Suisham Gets Cut!